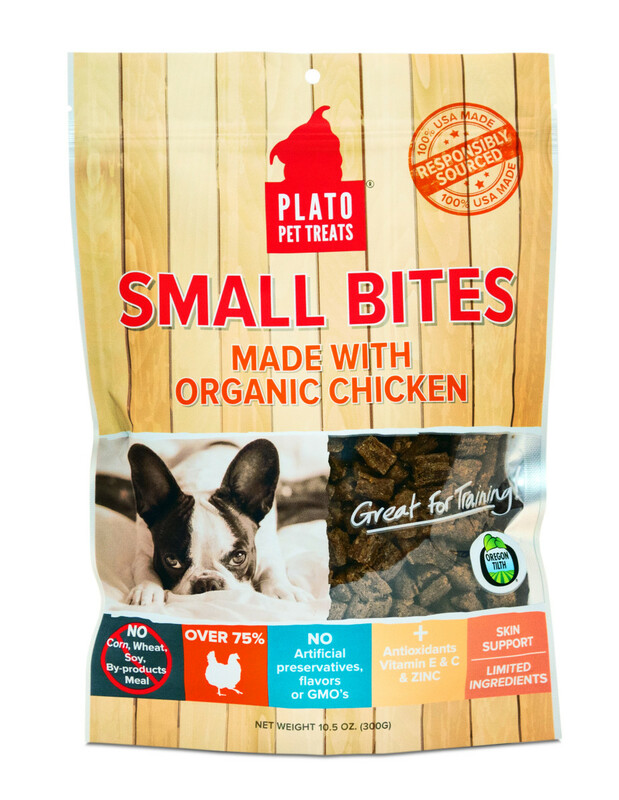 Plato Organic Chicken Small Bites for dogs have NO added sugars, artificial preservatives, by-products, artificial colors, or protein-meals. These training treats are completely grain-free, soy, wheat, corn, fillers, and gluten free. 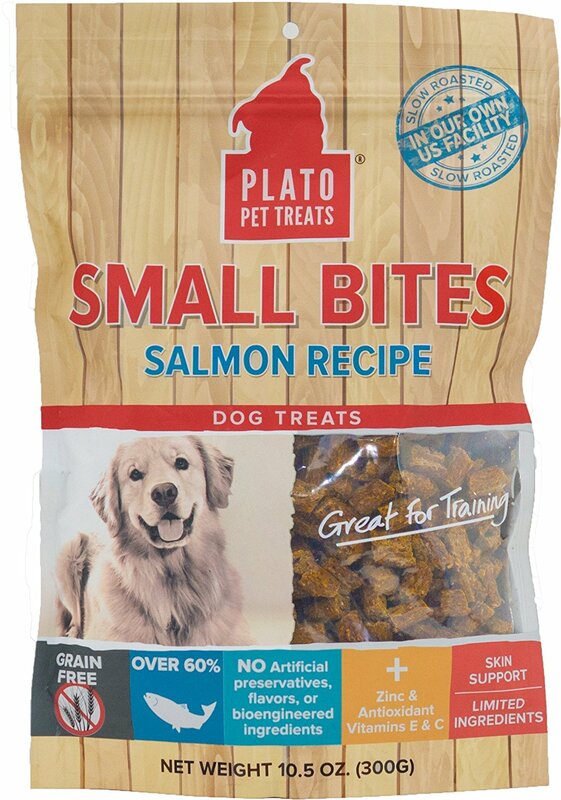 The Plato Way uniquely cooks treats to maintain maximum nutrition, never freeze-dried. 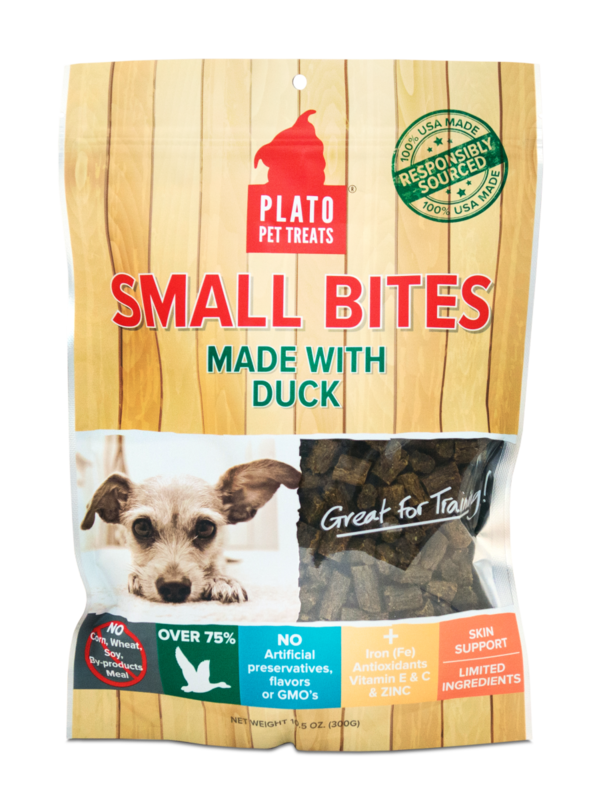 These single-source novel protein treats are especially good for overweight or small dogs, or dogs with skin issues, allergies, and food sensitivities.